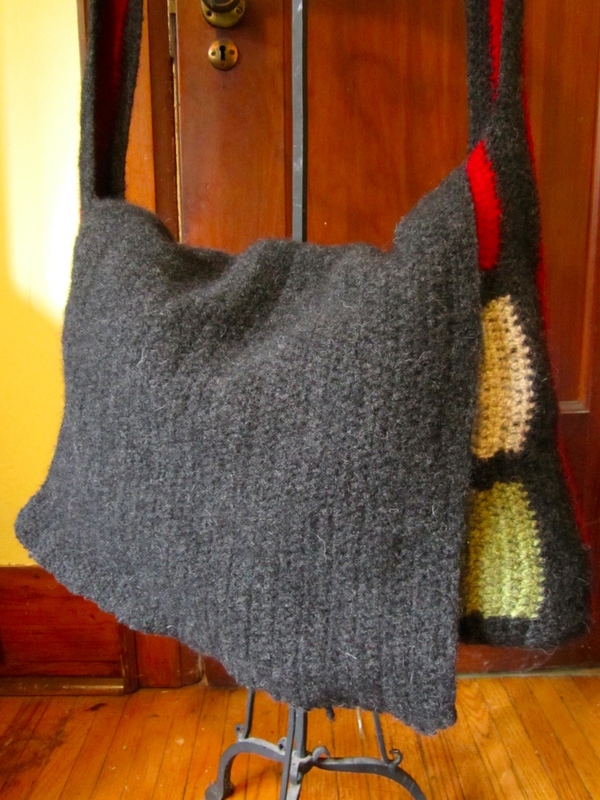 I have been working on a crocheted messenger bag for a little while now. It’s a lovely crochet pattern that is almost completely done in hdc stitches and then requires a mad amount of felting! I have put it through the wash cycle three times now and since allowed it to dry to see the results. While in the wash cycle, the flap was loosely stitched to the body. As well, I folded the shoulder strap and stitched it to avoid stretching. Side view of the messenger bag as it appears right now.